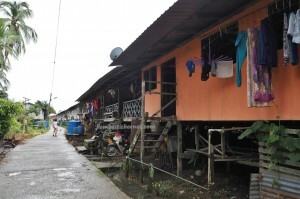 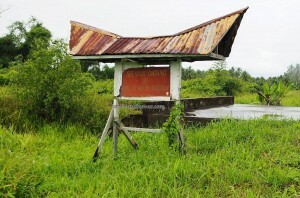 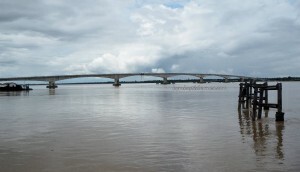 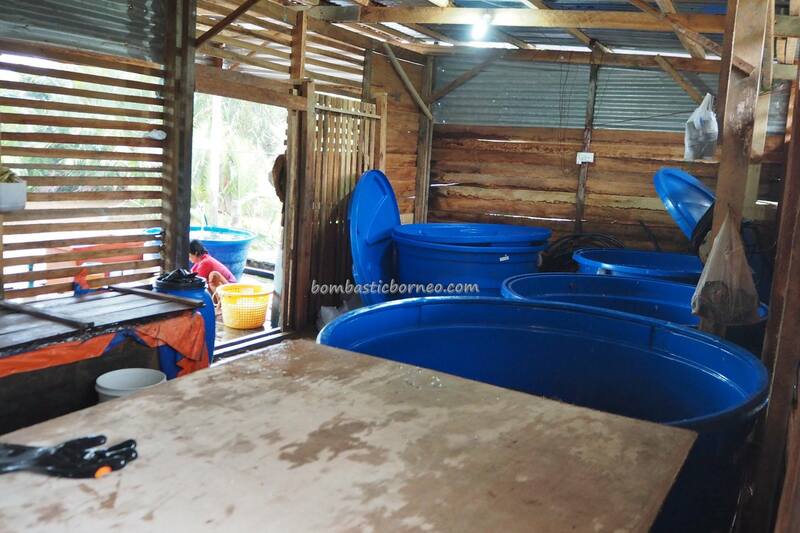 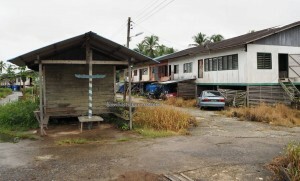 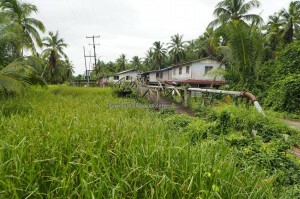 Location : Kampung Maludam, Betong Division, Sarawak, Malaysia. 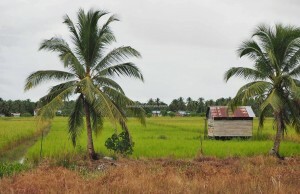 It was a good thing our host had a motorbike at our disposal. 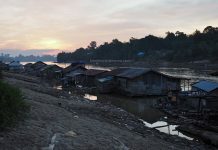 As there was not a hell lot things to do here in a tiny fishing village, we took the opportunity to ride around the village sometimes stopping to chat with the locals. 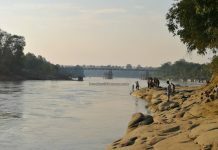 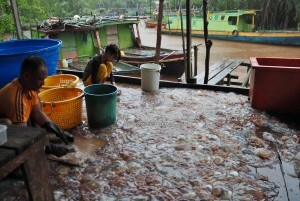 During one of those stops we learned that across the river was a small jellyfish processing factory belonging to a fisherman called Libai. 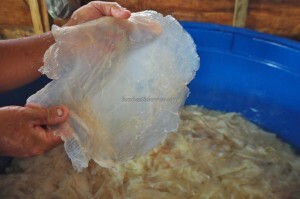 Something we must look into the next day. Early next morning the sky was pouring but our host insisted on showing us the way to Libai’s factory. A mother and her daughter was there helping Libai cleaned the jellyfish. During peak season Libai said he would need more than 10 helpers. The cleaning process was pretty simple and done with just a metal scrapper measuring 7cm by 15cm. The tentacles were first cut off from the ‘dome’ and the underside of the dome would be scrapped to remove whatever organs inside the jellyfish. 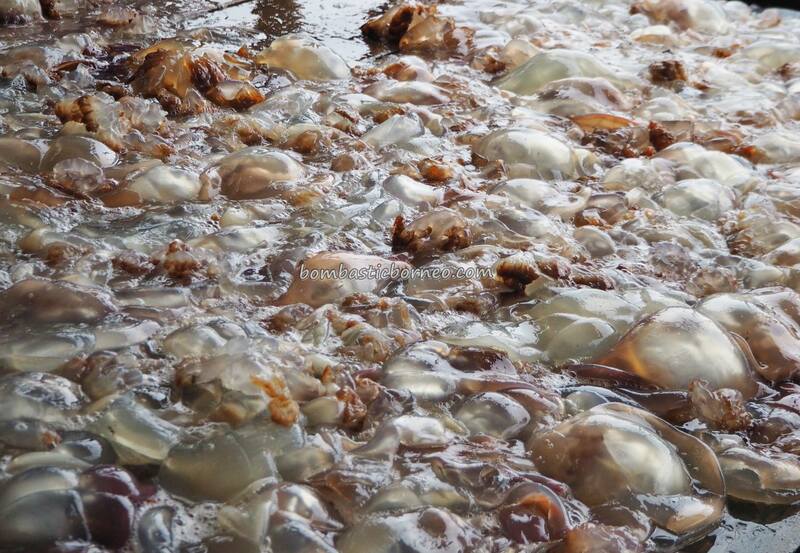 Then the tentacles and domes would be cleansed with water before treating with alum and rock salt in order to dehydrate them. 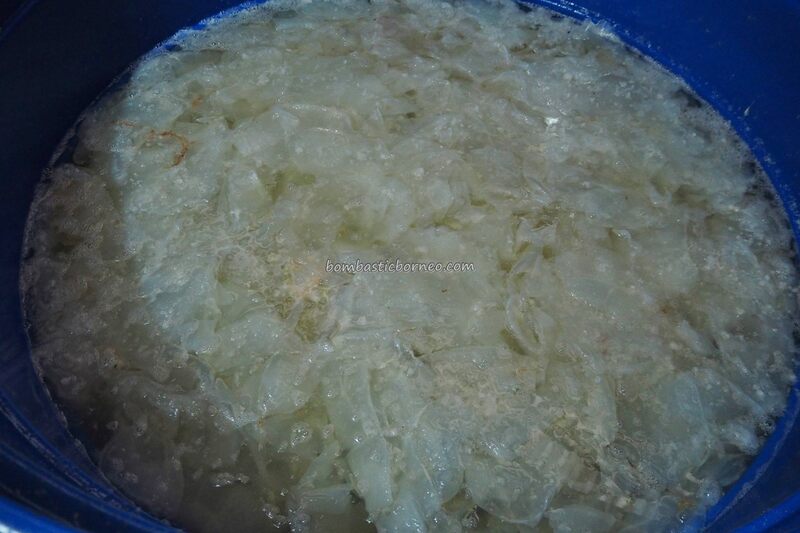 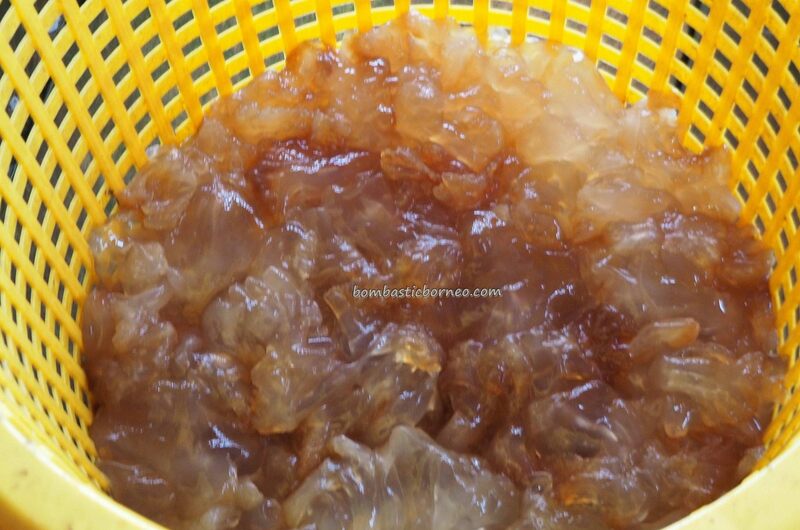 Processed jellyfish are tasteless and chewy but it is an important cuisine in Chinese banquet where it is served cold mixed with lots of ingredients as an appetizer. Japan used to be the main importer of processed jellyfish. 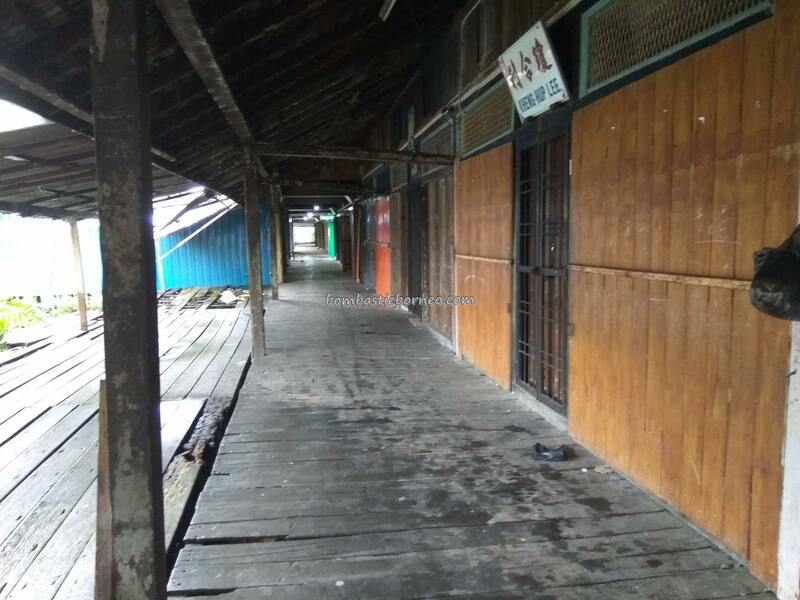 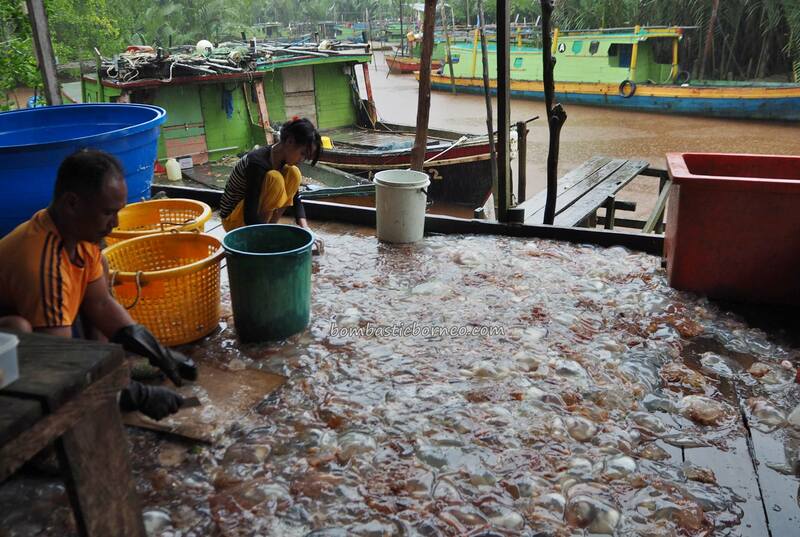 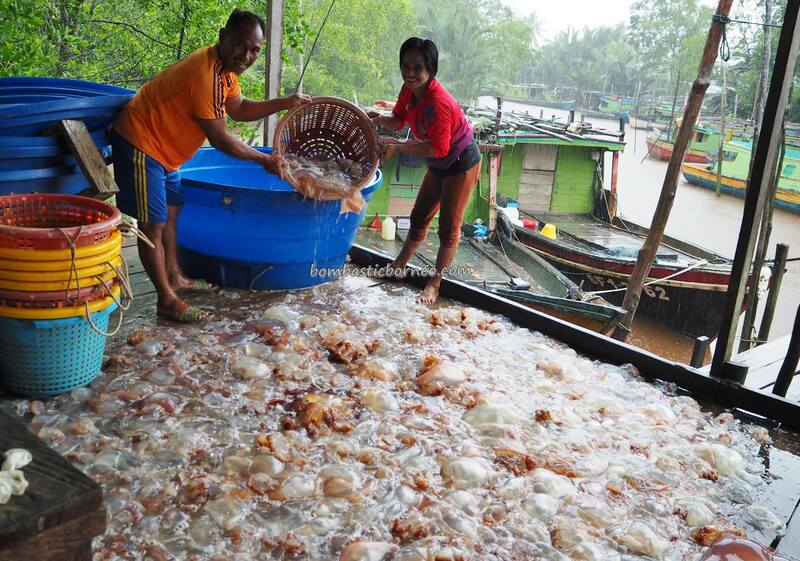 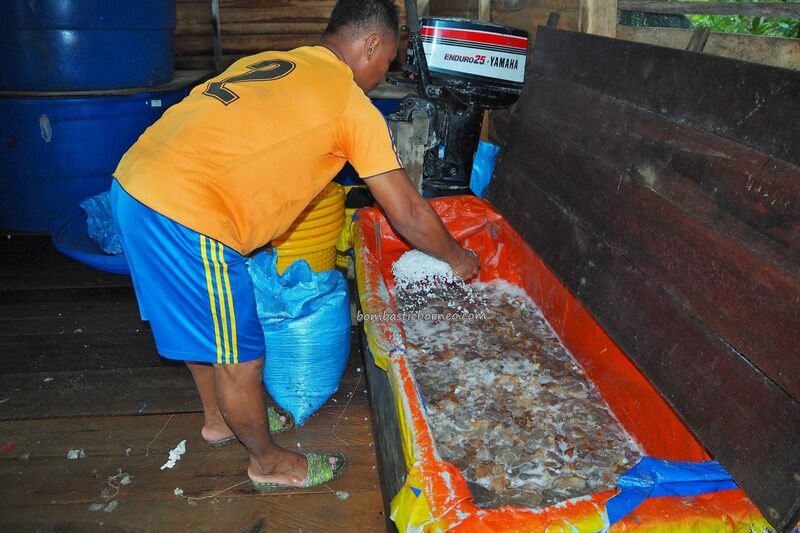 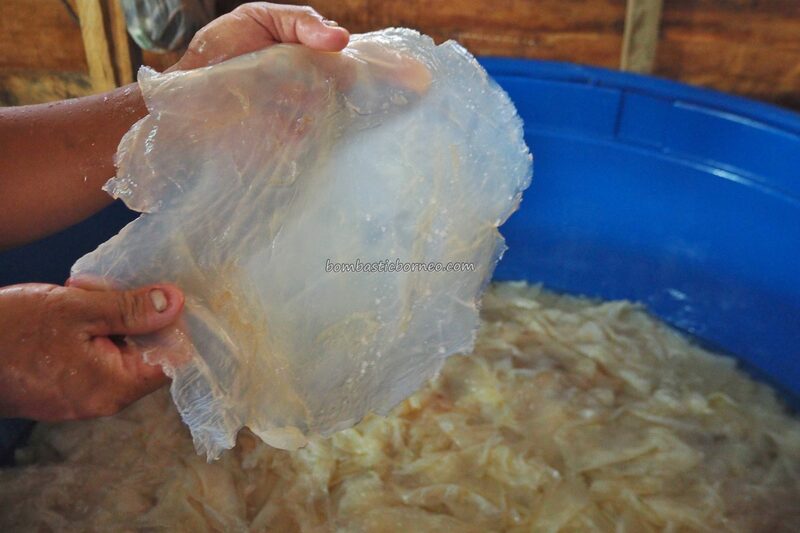 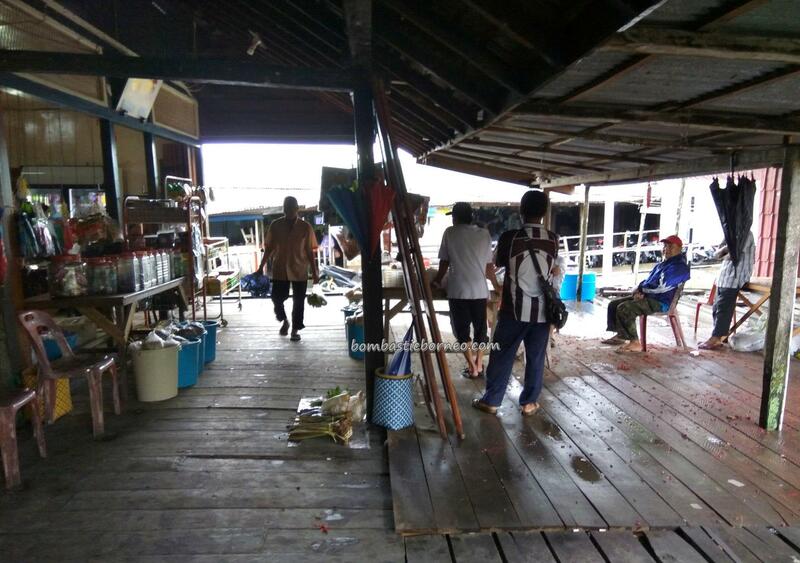 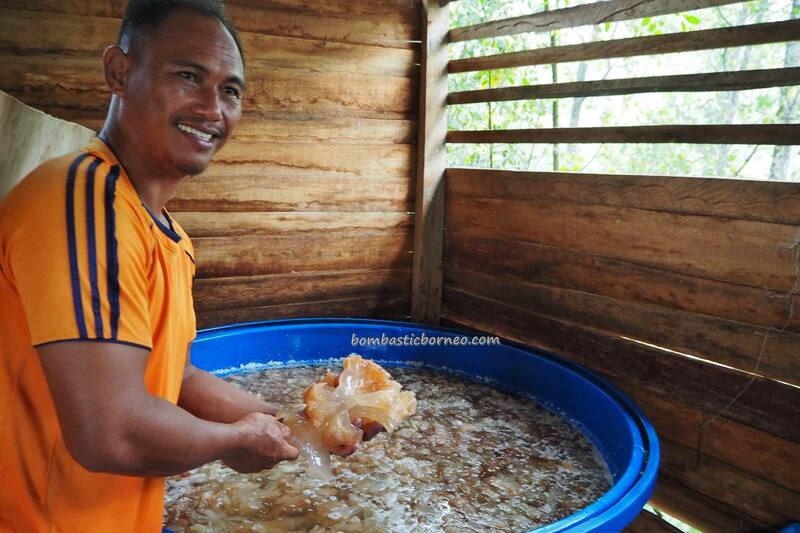 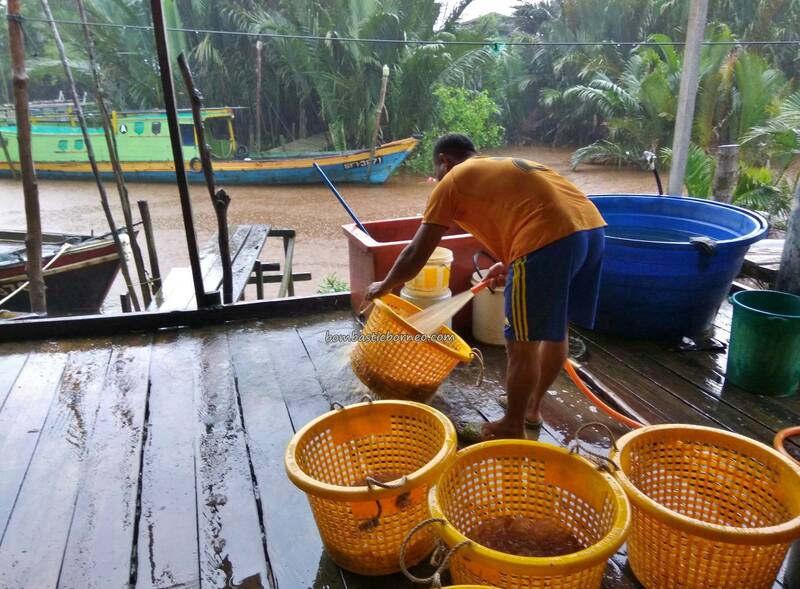 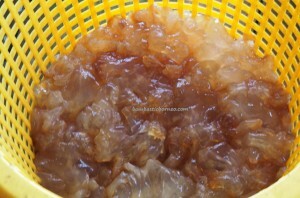 But the last couple of years have seen jellyfish factories closing down around Kuching. 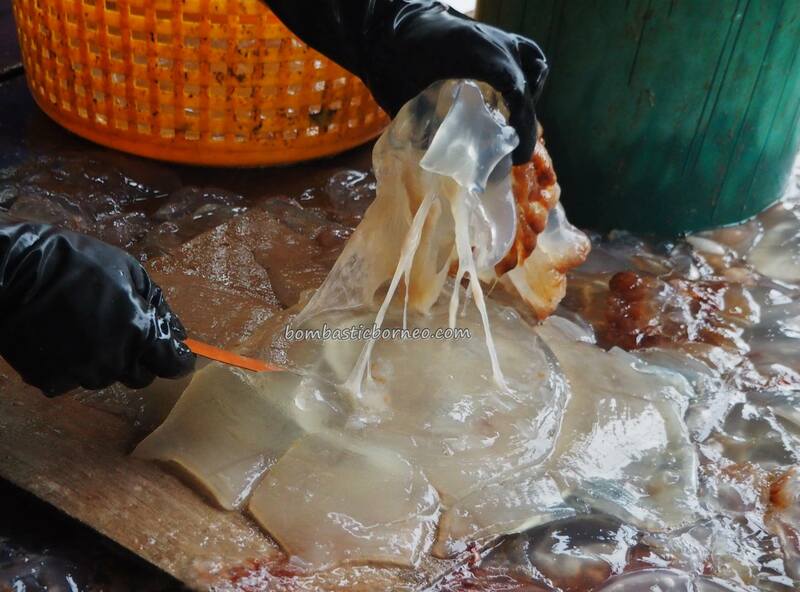 One possible reason could be that the Chinese and Japanese themselves are producing their own due to the sudden invasion of giant Nomura jellyfish that has recently been attacking their seas. 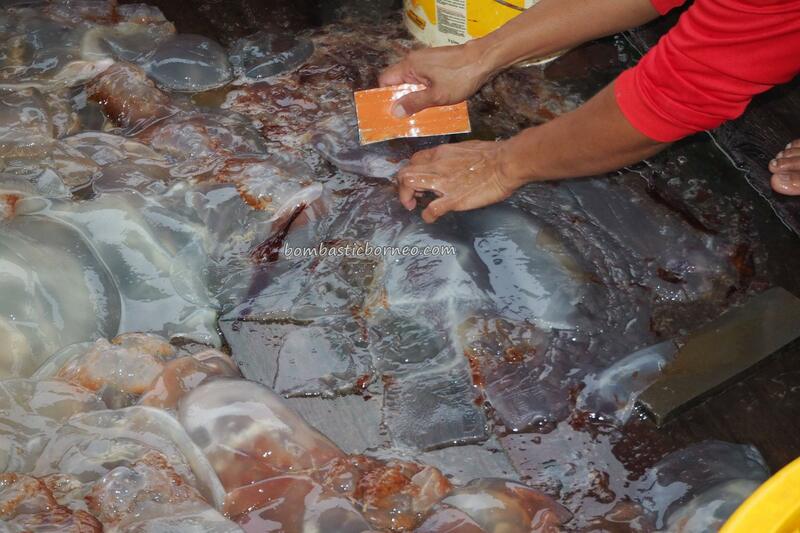 They have been trying hard turning the 2m diameter pest into food. 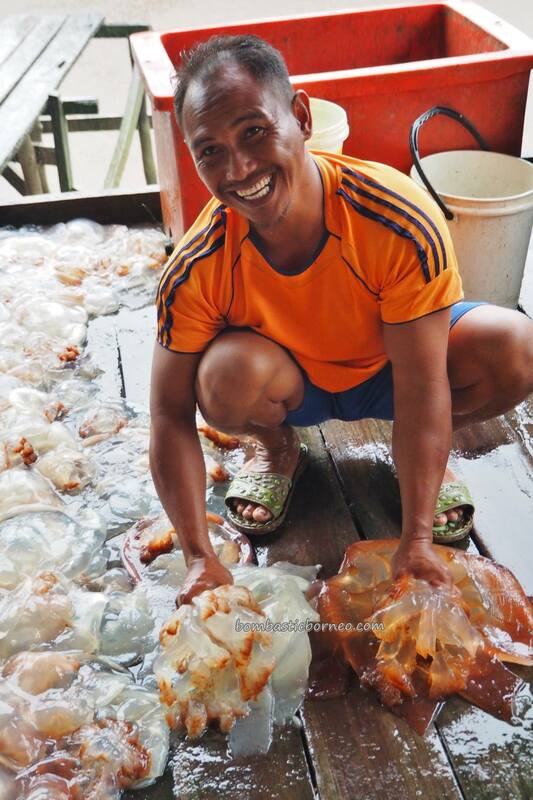 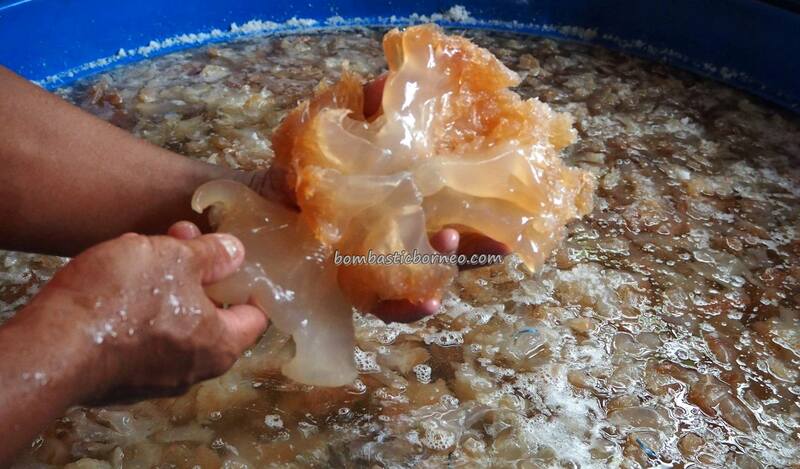 As we were about to leave the factory, Mr Libai insisted we brought back some jellyfish as a gift from him. 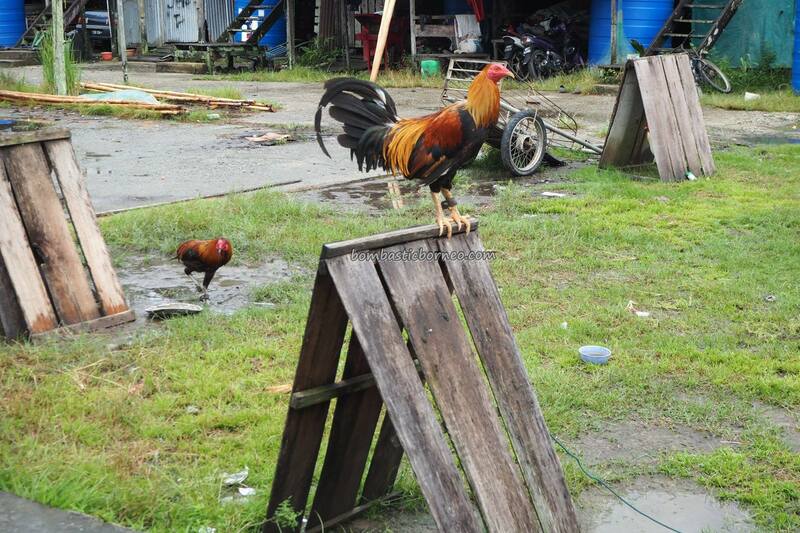 Nice gesture. Our visit to Maludam was coming to an end. 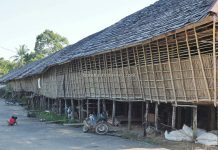 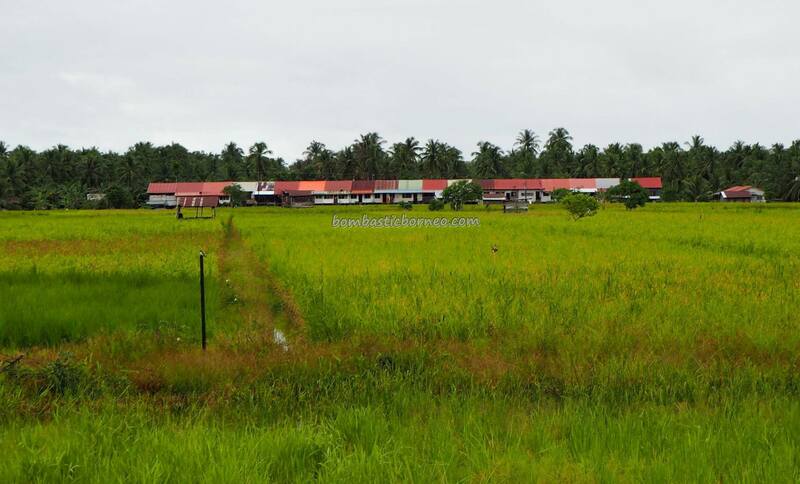 We still needed to visit 2 Iban longhouses on our way out to Triso before crossing the Lupar River by ferry to Sebuyau. 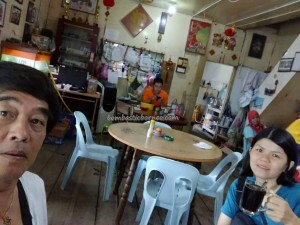 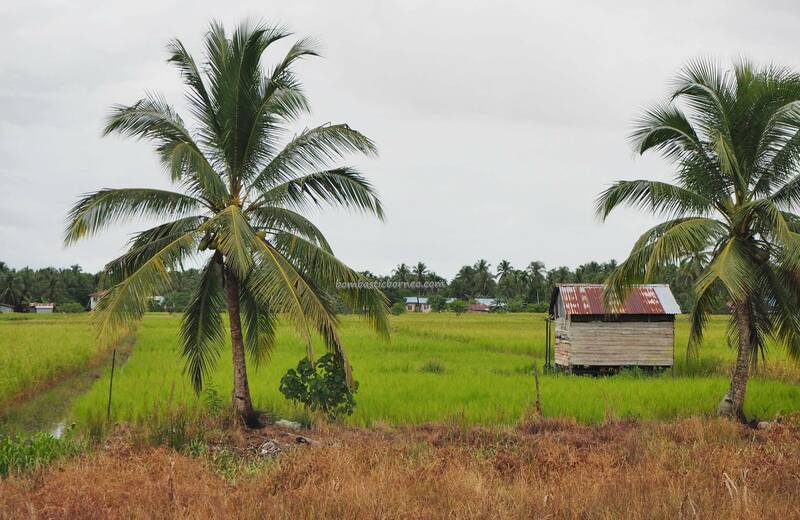 Maludam definitely needs to be better promoted as it has a very unique combo of Malay, Iban and Chinese community blending so well to give tourists a taste of mixed local cultures. 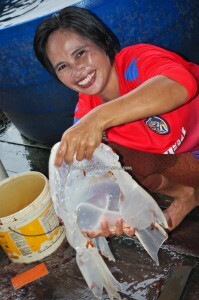 As for the local tourists, Maludam offers sea food fresh from the boat and the month of April is the season of the prawns. 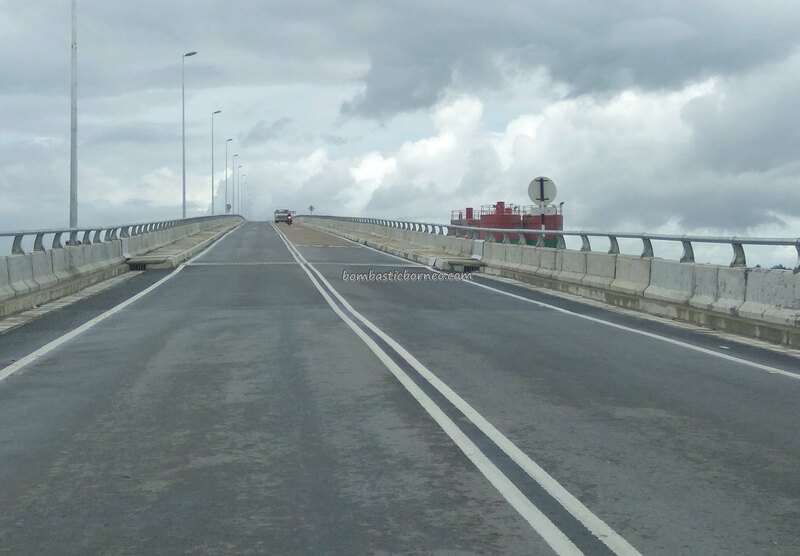 The new Sadong bridge has made the drive from Kuching to Sebuyau very much quicker. 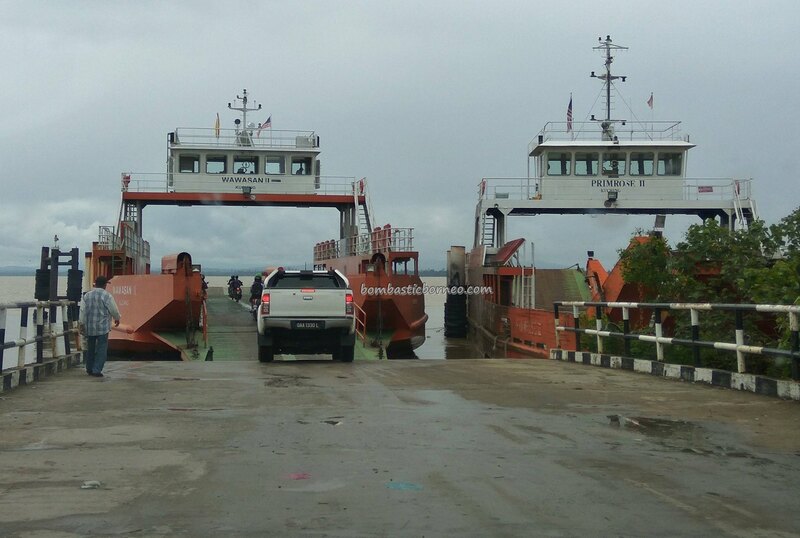 Currently, 2 ferries ply between Sebuyau and Triso thus cutting waiting time by 30min. A relaxing drive along this coastal road may take 3hrs to arrive at Maludam.